Expats new to Luxembourg may assume there’s not that much to do when it comes to leisure and recreation. After all, the world’s only Grand Duchy numbers among the tinier countries round the globe, both by size and population. Within the EU, only Malta is smaller, and unlike the latter, land-locked Luxemburg can’t boast Mediterranean sunshine or an infrastructure built on beach tourism. Nonetheless, there are plenty of opportunities to enjoy life in Luxembourg. 1) The best way to somebody’s heart frequently leads through their stomach, and expats are no exception. Don’t hesitate to get acquainted with local food and beverages! Typical fare from Luxembourg combines the hearty and heavy dishes of German tradition with the sophistication of French cuisine. Try your hand at such rustic and simple recipes as Judd mat Gaardebounen (smoked pork with white beans) or Stäerzelen (buckwheat dumplings with bacon). For the more refined palate (and full wallet), the small country also features a surprisingly high number of restaurants mentioned in the renowned Guide Michelin! 2) In Luxembourg’s gourmet temples, you will be served top wines as well. Many fine vintages are likely to be local. 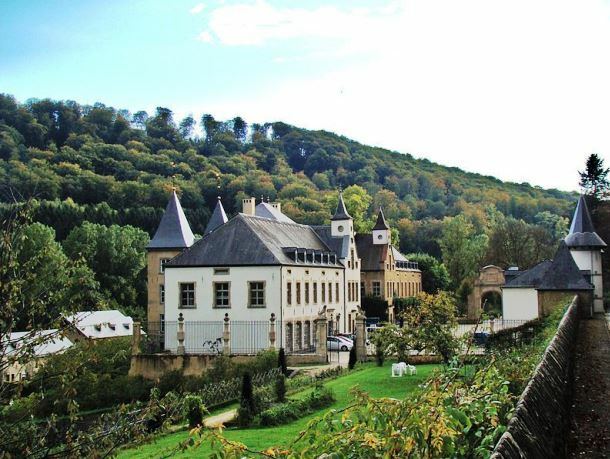 The Moselle Valley is famous for its white and sparkling wines (aka crémants). The region is definitely worth a trip to one of its wine cellars, like the Caves à Crémant Poll-Fabaire or the Caves à Crémant St Martin. They offer visitors an interesting glimpse at the production process, including a brief degustation after the tour of the facilities. 3) Going underground is your thing? Expat families with children might want to opt for something more exciting than a mere wine cellar. The Bock Casemates in Luxembourg City are probably a better choice. Converted into a bomb shelter in WWII, the subterranean passages under the ruins of a historical fortress are now a tourist attraction in their own right. As for a trip to the countryside, you could plan a visit to Stolzenbourg in the Ardennes Forest. An abandoned copper mine nearby has been turned into a museum of geology and industrial history. 4) Of course, you’ll also find lots of family-friendly activities that take place outdoors and aboveground. For instance, the Valley of the Eisch provides picturesque hiking routes from one small castle to the next. Unfortunately, most of these buildings are private property and therefore not open to the general public. However, the Castle of Ansembourg is a notable exception. Families with kids should save the date of the local castle festival in early August. As an alternative to hiking, there are several adventure parks for tree-climbing and zip-lining throughout the country. Now who’s afraid of heights? 5) But what if you’d like to get a bit of “me time”? Away from the kids, without your partner, and very far from stress at work? Just pamper yourself! 6) For the busier kind of “me time”, you should head for the fashionable boutiques of Luxembourg City. Here it’s plain to see that the country is a fairly affluent one, due to the international finance and banking sector. This wealth is reflected in the upscale shopping opportunities. In the Grand Rue, you can splurge at Escada, Hermès, Louis Vuitton, or Marina Rinaldi, to name but a few. Window-shopping is probably a kinder alternative to your credit card! If you’re looking for a bargain instead, you shouldn’t miss out on the Braderie. This discount street market takes place annually, on the first Monday in September, attracting thousands upon thousands of bargain-hunters. 7) After so much materialism, perhaps it’s time for the fine arts to get their due. The Mudam Lux is one of the world’s best museums dedicated to cutting-edge contemporary artwork by local and international creators. 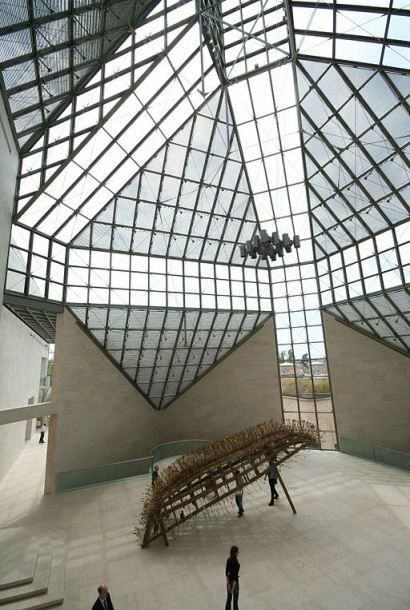 The building itself is a striking example of 21st-century architecture, designed by the Chinese-American architect Ieoh Ming Pei (he of the Louvre pyramid fame). In case you have some difficulties in “getting” modern and postmodern art, try to visit on the last Friday of the month. At night, you can join a guided tour of the exhibition, followed by a delicious dinner with other art enthusiasts.